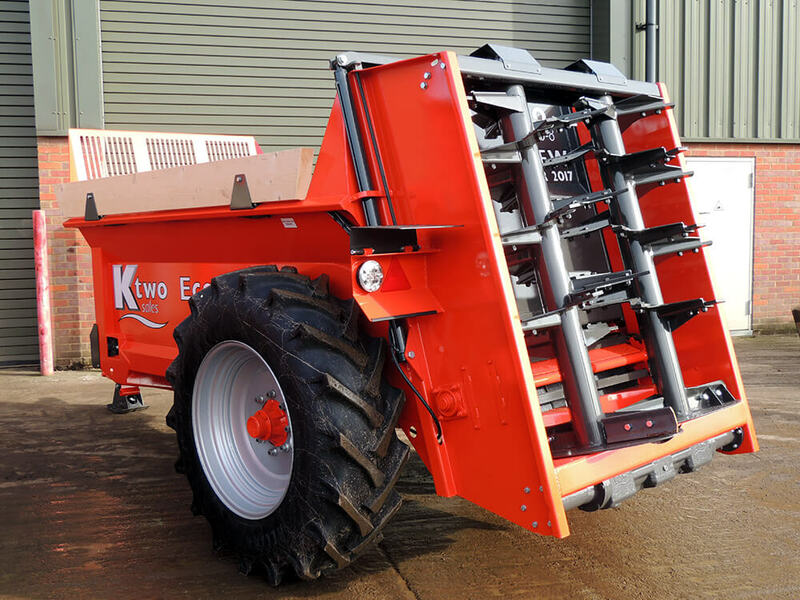 Manufacturing the K Two Eco, Duo, Evo and Bio rear discharge muck spreaders and K Two Roadeo Tipping, Compact & Push and Flatbed trailers. A family run business established in the 1980s, manufacturing high-quality farm machinery. 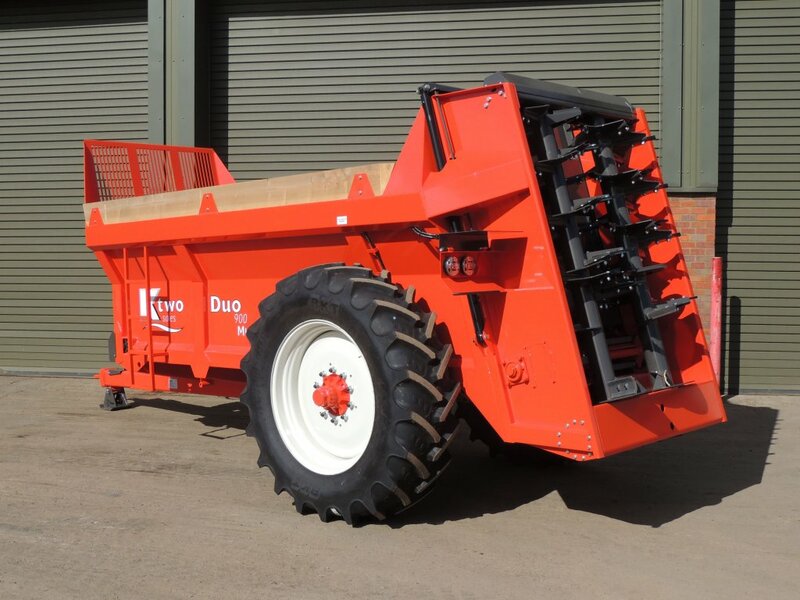 Our range includes rear discharge muck spreaders; tipping, compacting and flatbed trailers and grassland aerators. Using the highest engineering standards with the latest manufacturing processes, we ensure that all our products will perform efficiently and last for many years. Our after-sales service is unrivalled with our own field service engineers available to support you. We also carry a comprehensive stock of spare parts which can be dispatched for same-day or overnight delivery to ensure minimum downtime. Whilst our website contains a great deal of information about our products and services, naturally we invite you to call or visit us, without obligation, to discuss your needs in greater detail. 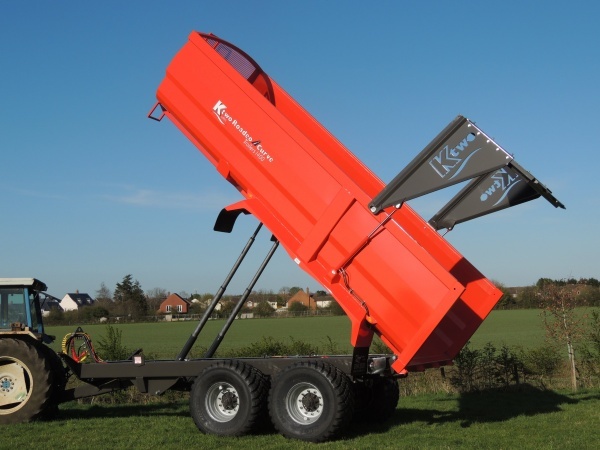 K Two Sales range of muck spreaders are all designed to perform and built to last using only the most exacting materials and build standards. The whole range uses commercial axles and brakes as standard and the product life is extended with controlled shot blasting and finishing with 130 microns of two-pack marine specification paint. 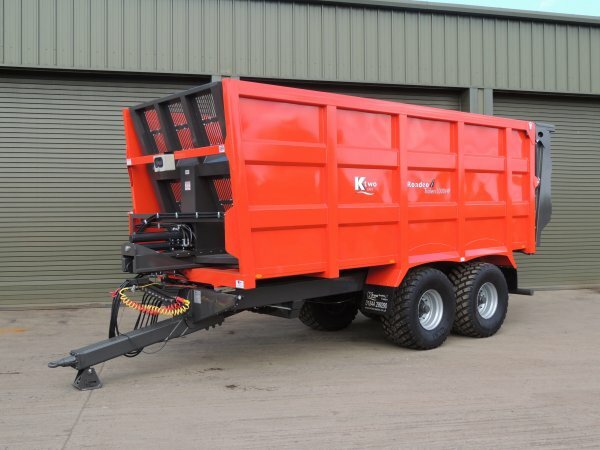 The K Two Roadeo range of monocoque trailers are the perfect choice for agricultural haulage operations. They are engineered to the highest standards using modern 3D design modelling and structural analysis techniques to ensure they are built to withstand the toughest of conditions. 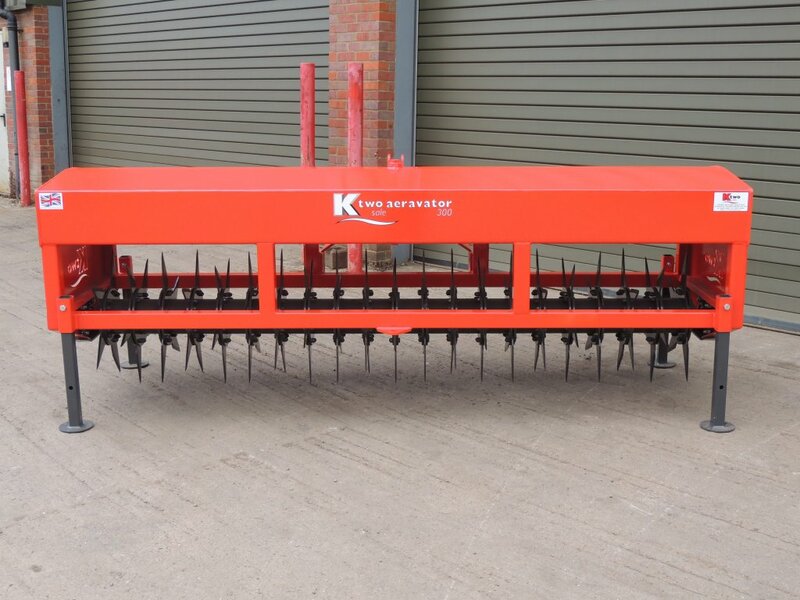 K Two Sales brings their manufacturing expertise into the manufacture of their Aeravator grassland aerators. 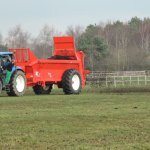 Available in a 3m working width, with two models, one with a water ballast tank and one with a weight tray, they are designed to improve pastureland by relieving surface compaction with their hard-wearing blades. 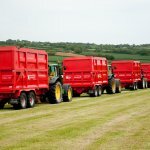 Spreading around 15,000 tonnes of chicken muck each year, J.A. 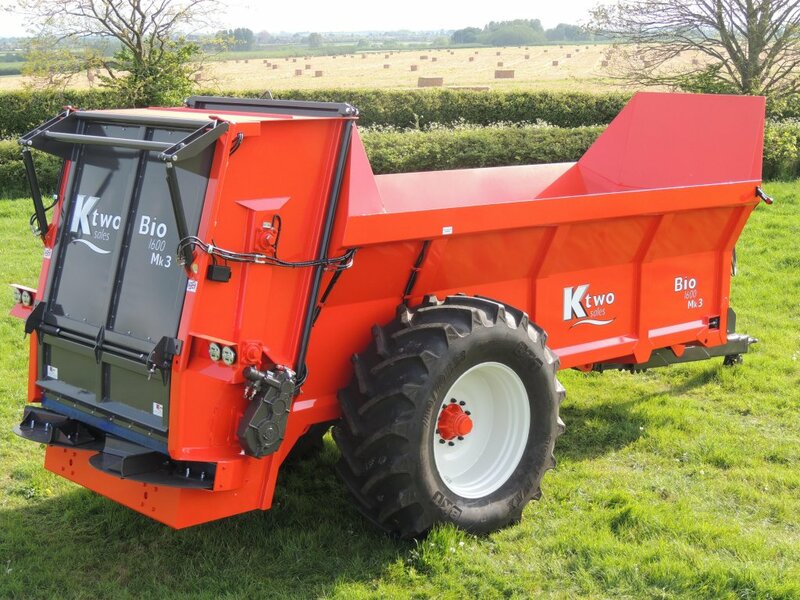 & O. Griffiths uses a K Two Bio 1800 Mk 3 to spread onto grassland, stubbles and running down tramlines – the latter a useful topdressing role in the spring. 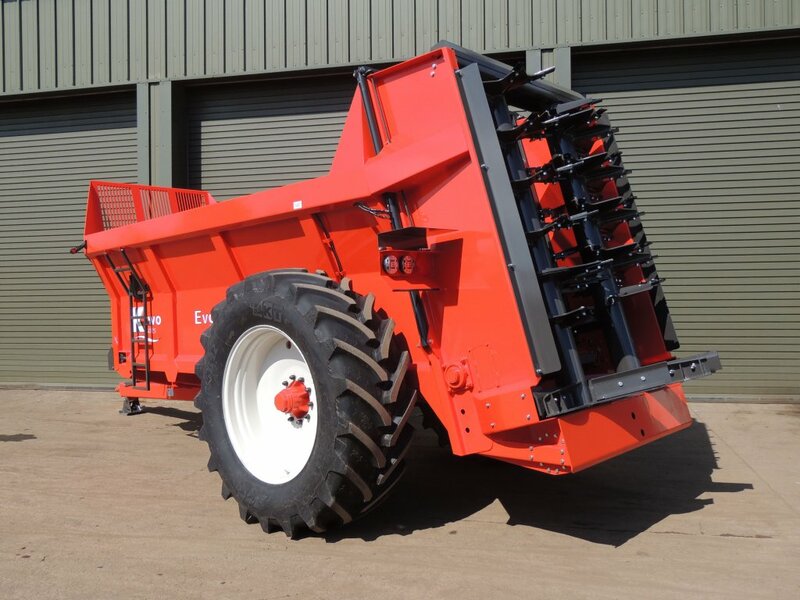 The spreader is fitted with on-board weighing and automatic application rate control to monitor and record what is being spread. Operated behind either a Fendt 936 or Challenger MT765C both equipped with RTK steering, the spreader combines an RDS Apollo controller and four weigh cells to accurately apply up to 4t/acre to comply with Nitrate Vulnerable Zone rules.